Tech conferences are a fantastic way to learn the latest and greatest gadgets and software, mingle with industry experts, and do some serious networking. Whether you’re a college student looking to break into the field post-graduation, a seasoned professional or vendor with tech-approved wares, conferences are a great place to see and be seen. From a marketing perspective, sponsorship is a smart strategy for your brand. While so much of today’s marketing approaches are focused online (like SEO and social media), it’s hard to beat the in-person connection that comes from chatting with a potential customer face-to-face. 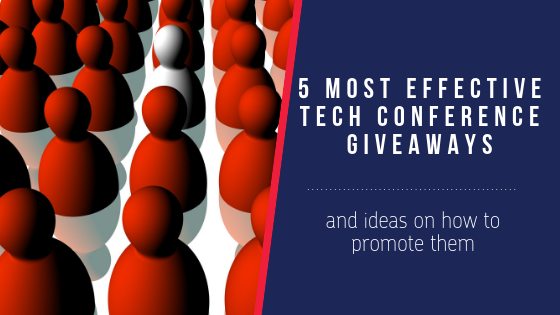 To ensure you get the most out of attending, we’ve pulled a list of example promotional products that our clients claim are the most effective giveaways for tech conferences. 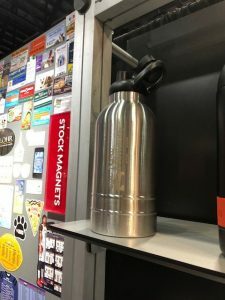 We’re also sharing a handful of ideas for how to execute cool giveaways at your booth, so that you draw in a crowd and are remembered by attendees. Conferences are long. All are guaranteed hours of sitting through speaker presentations, schmoozing, and – depending on the size – logging some serious steps around the convention center and/or expo hall. Now, pair that with the fact that conferences typically have a pretty low bar for food and beverages. While bad news for conference-goers, this is an ideal opportunity for your team! There are plenty of options for nurturing new leads through nourishment. Nuts, veggie packs like baby carrots and hummus, fruit, and chocolates branded with your logo are all easy on-the-go snacks that attendees will grab. And while you probably can’t pass out beers, you can offer bottled waters as well as soda and energy drinks! Tech conferences will be full of (drum roll, please) tech devices. From phones to tablets to laptops, attendees will be lugging and heavily using their favorite technology the entire day, weekend or week they’re there. That makes portable chargers and similar devices an ideal gift for those who drop by your booth. One issue many will run into over the course of the conference? Poor battery life. Wireless power banks, which can charge virtually anything with a USB charge port, are a lifesaver when you’re constantly on the move… like, say, at a conference. 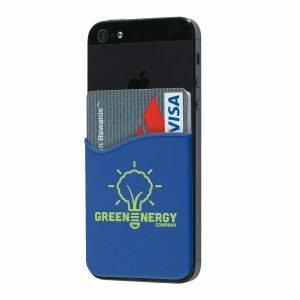 Charging pads are another trendy device that can be branded with your logo or messaging. 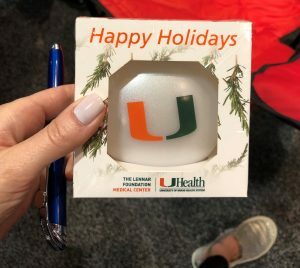 From wall chargers to car adapters and fancy gift sets, these giveaways are practical as anything – sure to receive use and gain visibility among the conference’s plugged-in crowd. We can try to deny being hooked on them, but cell phones are seriously important to, well, everyone. Even with days’ worth of presentations, demonstrations and conversations, you’ll be hard-pressed to find a single attendee without his or her cell phone in tow. What does this mean for your marketing strategy? That promotional cell phone accessories are another sure-fire product that can help to encourage visitors to your booth. Give those who drop off their business card a useful gadget, like Pop Sockets, phone wallets, and phone stands, printed with your logo on it. Unlike another keychain or pair of sunglasses, they’ll keep these types of giveaways. And if not, the perceived value is high enough the item would be passed onto a colleague or friend, thereby extending your reach! Just as college students are discouraged from taking notes on their laptops, professionals know that taking notes with pen and paper improves retention and focus. With all the planning that goes into travel for a conference, one item that is often forgotten is a simple notepad. 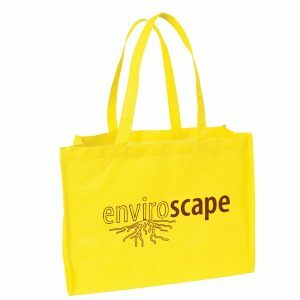 Especially for expos with workshops hosted over multiple days, this item is a highly useful one to giveaway. 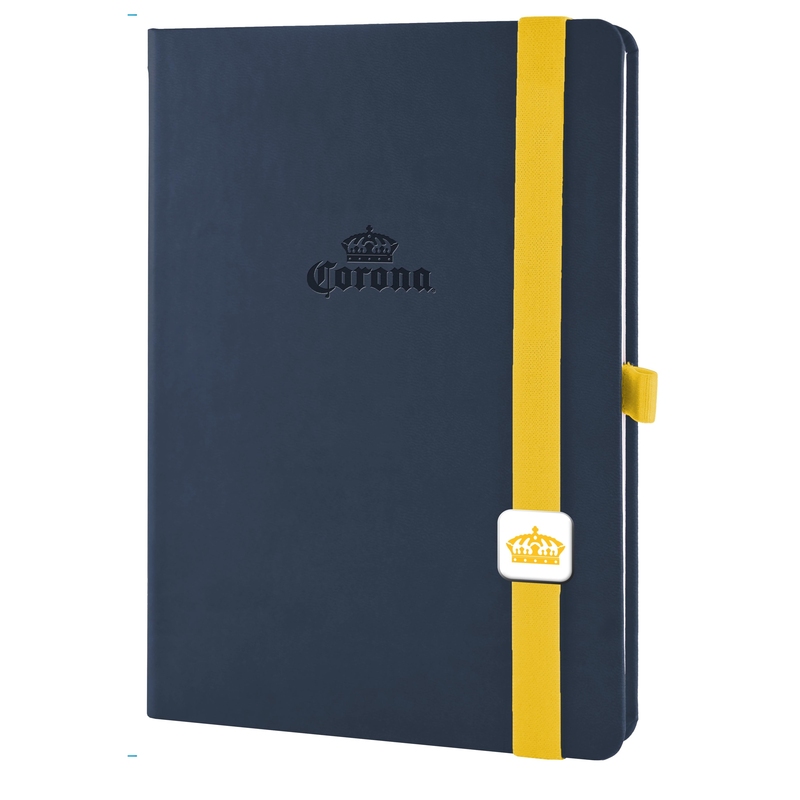 What’s more, notebooks, journals and jotters can provide a welcome respite from the constant talk and use of technology. Consider interesting ways you can promote their use among attendees – for example, by including prompts about goal-setting, brainstorming, or inviting recipients to submit a response to a tech-related question via pen and paper for a bigger prize. Attendees will fly in from all around the world for a really popular tech conference. This creates an opportunity for you to base your marketing products around easing the burden of flying and travel. There are a ton of useful items you can jazz folks up with, such as inflatable neck pillows for the plane, luggage tags, toiletry kits, and even a handy handheld luggage scale. After all, there’s nothing worse than realizing you’ve over-packed and are about to be bombarded with extra weight fees! Tech conventions are high-energy – and for all their good, they can be exhausting. We’ve talked about cool giveaways to recharge attendees’ gadgets, but why not allow your potential customers to recharge, too? Offer passersby a few moments to chill out at your booth, without fear of a sales pitch. This could mean electronic massage chairs, free 10 or 15-minute chair massages from a professional, or simply a couch and TV set-up. If you choose this route, just be sure to plan for the popularity of your station! The goal of hosting a booth at a conference is to get brand exposure and meet potential customers. Of course, to do this in a meaningful way, you’ll need to connect and engage with them by creating a dialogue. And if you can accomplish this by getting them to lighten up and have some fun, even better! In fact, positive energy and emotions will increase the likelihood that the remember the encounter and think fondly of your business. A perfect way to do this? Turn your space into a game-oriented haven to give out your branded giveaways. Raffles and prize wheels are classic options; but don’t be afraid to go a step further by setting up a game of Jeopardy or other game show remake, host a contest, a mini putting course or even set-up a scavenger hunt around the convention. Attendees will flock to play and watch others do so. Remember, when confined to the same rooms for days on end, everyone will be hungry for new and exciting things to talk about! Rather than fight the flow of foot traffic, why not make your booth stand out on social media? Especially for a tech-heavy audience, expect that apps like Instagram and Twitter will be active with updates from attendees. All you have to do is find out the official and unofficial hashtags being used! Work with your social media person or team to engage with attendees online before and during the event. Whether you’re asking open-ended questions, running fun polls or eliciting responses in another way, there are plenty of opportunities for inviting those commenters to pick up their winning prize at your station. We hope our list of giveaways and suggestions for how to actually gift them have your creative juices flowing. 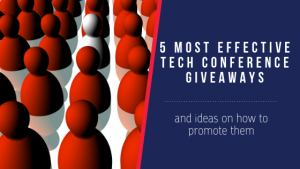 Not only will these methods help your business to standout at the next tech conference, but they’ll ensure your brand presents itself in a memorable way. Looking for more tech giveaway ideas? Bluetooth Technology Proves The Power of Connection. Smartphones have become ingrained in everyday life thanks to the numerous and tremendous tasks they perform. But for all their good, there’s one thing most folks would agree needs a mega-facelift: battery life. We’ve all experienced the sinking feeling that comes when the dreaded “20%” warning flashes across the screen. We’ve all searched high and low for an accessible outlet to camp out at for those few short minutes while getting in a quick recharge. After all, the only thing worse than a dying battery is a dead one. Despite poor battery life being a common complaint of smartphone users, most rarely carry a charger with them, which is why hosting a charging station at your next event is a brilliant marketing move. A charging station is a portable pad, kiosk or furniture with multiple charging outlets for folks to plug into and recharge the batteries for any portable devices. They’re a natural fit for any event, from trade shows and conferences to just about any type of mass group outing, like concerts, sporting events, auctions, and more. If there’s going to be a crowd, there’s going to be tons of smartphones… with quickly depleting batteries (and frustrated attendees). Who can host a charging station? In theory, anyone can host a charging station, but you’ll want to check with the corporate sponsor of the event before assuming it’s okay. Most sponsors welcome the addition of a charging station, as it benefits everyone there. However, at bigger conferences and trade shows, the event will typically have a specific charging station set up, complements of one of the event’s larger business sponsors. Depending on the style charging station, you may need a larger amount of floor space – especially if you’re bringing a free-standing kiosk or chargeable counter. From a practicality standpoint, these require significant space and access to at least one electrical outlet to plug into. Again, get your sponsor’s blessing before you plan on setting up your own at their event. Charging stations are wonderfully low-maintenance. They don’t require a ton of equipment at all. In fact, they’re fairly self-sufficient. As mentioned above, you’ll need to make sure you have easy access to an appropriate power outlet to plug your station into at the event. The specific requirements for voltage may vary, but it’s a relatively safe bet that you’ll only need the common 110 V. If you have a small table or booth, make sure you’ll have outlet space enough for the guests as well as for your team and their set-up! On renting: There are plenty of charging station rental companies that are happy to outfit your event for reasonable prices. This is a great option for companies testing out the effectiveness of this offering at events, or who want to use it for their own functions. Renting is also ideal for those who require assistance, as rentals typically include 24/7 support for any issues that may crop up. Rental fees vary from about $200-800 per day. These fees are based on several items, such as the type of charging station, length of rental, and branding options. On buying or leasing: On the other hand, if you find yourself constantly renting, it may be time to invest. Having your own saves the hassle of arranging pick-up and drop-off of the equipment. The cost for a charging station vary greatly – you can find prices for as low as $400 all the way up to $6000+. Many sellers offer the option of buying outright or leasing their products, to better fit your marketing budget needs. What style station should I get? Before choosing a product type, the first question you should ask is whether users will have to stay with their device to charge it, or whether it can be secured and left for a period of time while charging. There are pros and cons to both, and the station you opt for will depend on your goals for hosting the charging station. With either option, you can expect improved brand perception and awareness – kudos! But aside from that, are you looking to further engage with attendees, perhaps about a product or service you offer? What if my charging station gets too crowded? This can be an issue particularly for events that prefer attendees don’t hang around the station waiting for their phones. You’d better believe that folks will line up and wait it out for the chance to plug in! To avoid this, make sure you have an adequate number of stations available. We recommend one charging port for every 400 people; but depending on the event and the demographic it draws, you may prefer more or less. If, despite your best efforts, your station is still too crowded, consider a contingency plan. We suggest gifting branded power banks and chargers or during the event, offering them alongside your marketing materials and other swag. Everyone can always use an extra charger! Plus, there’s inherent comfort in having one in-hand, even if it can’t be used at that exact moment. Folks can relax knowing they’ll be able to power back up as soon as they get to an outlet, which gives them time and peace of mind to talk to you about your business. 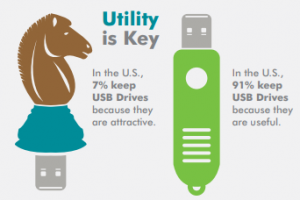 What are the benefits of hosting a charging station? Better retention – “My phone is dying” is a totally acceptable excuse to leave an event early. Charging stations help to keep more attendees at the event or on the exhibition floor for longer – which means more leads for you, and a more enjoyable time for everyone! How can I make my charging station stand out? Throw a charging station into the mix of your event and folks will be happy – but why stop there? You can absolutely make your charging station into a destination, especially if you want folks to hang around so you can engage with them. For instance, create a full-blown “café corner” complete with a coffee bar and light snacks for attendees to enjoy while charging their phones. Comfy seats are another bonus, especially for events that require a lot of standing or walking. Creating a mini café will make your interaction with folks more natural and relaxed, rather than them feeling potentially awkward just standing around – and zipping off as soon as their phone is done charging. Want more ideas? Check out this piece, which highlights 15 unique charging stations from big brands like Toyota and Lacoste. Ready to jump onboard and host a charging station at your next event? We thought so! For other trade show necessities – including displays, games, banners, and giveaways – check out our fully customizable selection at ePromos. The answer we’ve been giving them is our custom Cell Phone Wallet with Ring Phone Stand and Holder. Here’s the rational: Most people don’t leave their home without their cell phone. And, the majority of people don’t leave home without their wallet (although as Mobile Wallets become more accepted across the globe, the need for carrying a traditional wallet is diminishing). 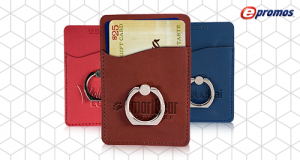 Not only does this piece serve as a wallet, it’s ring also serves as a stand and a great hand grip. Many only carry their license and business cards , using cash less and keeping credit card info stored in their mobile wallet. 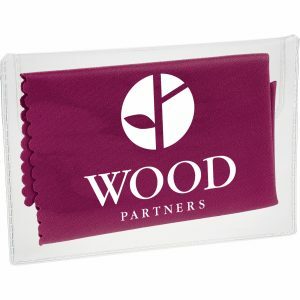 If you want your brand to travel everywhere your target audience goes, promotional wallets that attach to any smartphone are a smart promotional product choice. What products will keep my brand close-at-hand for my customers? Take a look at your phone. You are probably looking at the screen. After all, that’s the “business end” of your smartphone. Now turn your phone over. See all that space? You can put that space to good use and put your brand in the hand of your target audience. Add your logo, brand messaging or other artwork to this wallet with ring holder and phone stand. A cell phone is prime real estate for advertising your brand. Will an affordable giveaway be an impressive gift? For employee recognition, high-end gifts are appropriate; however, if your company has numerous employees, a gift such as this leatherette wallet/holder/phone stand is a more affordable choice. The debossed decoration is subtle, your brand name is there, but it doesn’t intrude on the elegant look of the wallet. 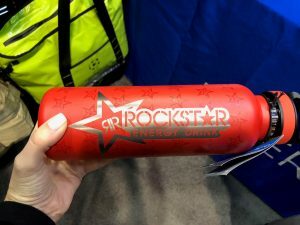 This is an ideal giveaway for tradeshows, in the office, for your sales team, or as a party favor! 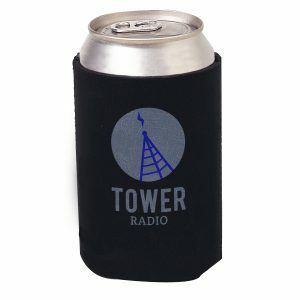 Which merchandise will appeal to the masses that I can giveaway at an event? We tell our customers that three-in-one promotional gifts make an interesting giveaway at trade shows, conventions, and other large-scale events. 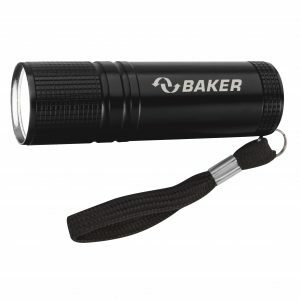 They’re typically affordable enough for large crowds while still being extremely useful. 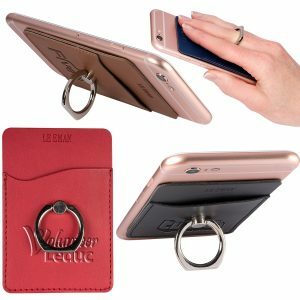 The ring is handy and the card holder sticks to the back of cell phones, boosting the chances that it will get used and your logo will be seen. People love the convenience of having all their necessities in one place. 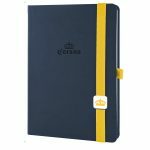 What types of gifts look like they are for an executive, yet are affordable? Made by Leeman™ New York, this stylish, leather-look wallet is great for men and women. Another feature that makes this gift perfect for business partners, CEOs, and top-notch customers is the decoration method that is used for your logo. Embossing is a printing method that raises the image off the product to give it a 3D effect. The opposite of embossing is debossing. Debossing is the art of stamping or printing, leaving an elegant imprint permanently depressed into the product’s surface. The executive you give this wallet to is sure to be impressed – not only due to its attractiveness, but because this patent-pending product is so unique. 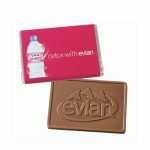 How do I choose the right promotional product for my marketing campaign? Look to ePromos – we’re the “promo know-how people” and we can help you find the right fit. 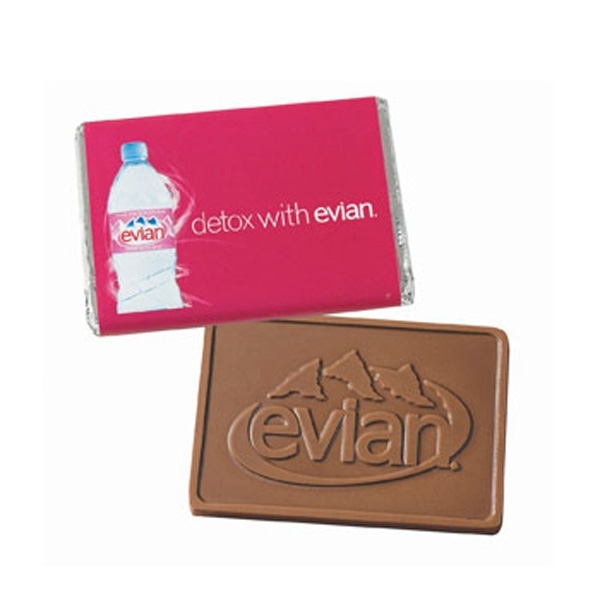 Think of the convenience of having 3-gifts-in-1! Customers will have one place for a wallet, a cell phone holder, and a phone stand. 1. The wallet has a single slip pocket to carry customers’ credit card, cash, and driver’s license. You can leave the big wallet at home and carry only one item. 2. The metal ring is a convenient and safe grip that allows users to hold their smartphone more easily. It also prevents the accidental fumble when talking, texting or taking a picture. 3. The ring used to hold the phone with one finger can also serve as a cell phone stand to watch videos, Facetime, Skype or remain hands-free on a phone call. Each soft case is uniquely designed for perfection in form and detail. They look stylish and feel natural to use. Easily attach this little promo to the flat back of any smartphone using the removable adhesive back. And worry not – should recipients wish to remove it, the adhesive is residue-free. It’s small enough (3-5/8”x2.5”) to fit on the back of any smartphone and large enough to highlight your logo right below the metal ring. Additional imprint locations and/or methods may be available. Ask your Brand Consultant for details. The wallet is available in black, navy blue, red, and tan. Shop now, or call us to talk through ways we can help you to customize a LEEMAN NYC cell phone wallet for your company. Love this post? It’s our Product of the Month pick for February, 2018. Check out January’s here. We’re back from ASI Orlando, the first show of the new year. It was fun walking this show, as there’s always a high-level of energy in the crowd. Marketers are eager to identify new trends and talk 2017 success stories with their partners. That’s probably the case with many trade shows, but being since this one took place January 2-5, 2018, everyone had resolutions fresh in their minds. For me, in particular, this meant getting a feel for what trends would be big this season, and making that trend come to life for our avid readers. 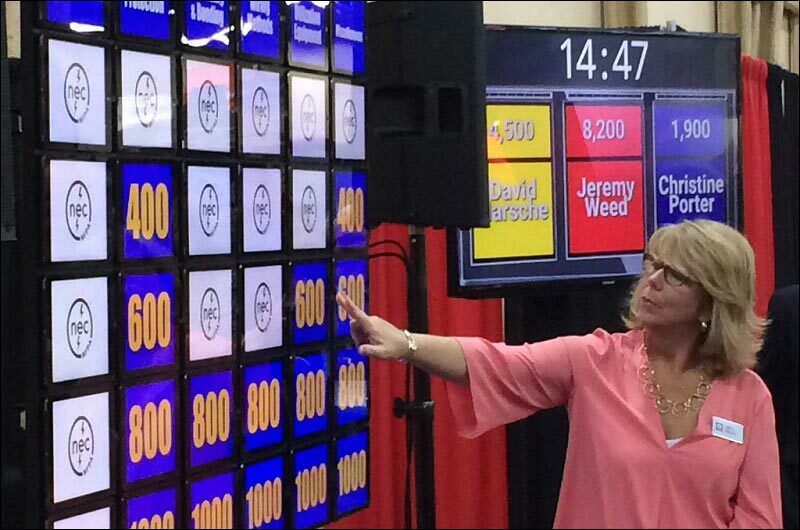 We’ll briefly explore some of the findings from the show today, and follow up in greater detail when we summarize our findings from the PPAI Expo show in Las Vegas, later this month. Pantone’s color of the year, ultra violet, which was featured in the New York Times, as a color which “communicates originality, ingenuity and visionary thinking”. Duly noted. Whether you’re a new company trying to break through the clutter, or an established business thanking your customers, presentation is everything. Two decorating methods, which can be combined, stood out to me as game changers. The Spectrum printing, shown in the stars below as a tone-on-tone, and the Chisel method, where the imprint is cut out, revealing the actual color of the bottle. Still hot! In 2015 we talked a lot about this, with the focus being on selfie sticks. One of our partners did great with these selfie lights as a giveaway to promote a concert. It was a huge hit. Even more the craze? PopSockets®. in lanterns, flashlights and key rings. Significantly brighter, less expensive and lasts longer, this technology is slowly replacing traditional LED. They were everywhere! The Craft Beer industry has been increasing, as are visits and experiences around microbreweries. I loved this bottle in particular because it had a drink-easy access cap on the top. Great not only for retail, but also as a giveaway for trips to the beach, tailgating and company events. The 64 oz. holds a six-pack. (technology that superimposes a CGI on a user’s view of the real world): You’d be surprised how many of our partners are dabbling in this. Think of what this means for the future of sales pitches for ad agencies! Don’t forget, we’re the Promo Know-How People. Connect with us to bring your ideas to life.